Background: Feinstein and Rai will provide an update on the latest importation of Green registration data, GPLAC email blasts sent, and a projection of future costs. 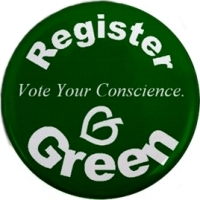 Background: An opportunity to hear updates on Greens running in spring 2019 elections, including Cesar Flores, GPLAC-endorsed Green candidate running for State Senate, District 33 in a March 26 special election, and at least seven Greens running for Neighbohrood Council https://www.gpelections.org/?t=2019, discuss holding on-line vote to endore already declared candidates, and discuss other Greens who have indicated their interest in running in 2019 and 2020. Background: This item provides an opportunity to discuss and review the GPLAC February 9 workshop on running for Neighborhood Council https://losangeles.cagreens.org/elections/workshop-neighborhood-council-... and plan for any additional workshops. At its January 20, 2019 teleconference, the GPLAC voted ="That GPLAC hold second workshop on Los Angeles' Eastside, Brown will return with proposal on dates and venues, proposal will go to on-line vote." https://losangeles.cagreens.org/county-council/minutes/2019-01-20. However as this County Council meeting has been delayed several weeks, its probably too late to organize and hold another workshop before most of the filing deadlines close. Background: At its January 24, 2019 meeting the County Council voted to schedule a meeting on March 31, 2019. However that date is when the founding convention of the California Progressive Alliance in San Luis Obispo, an event many Greens want to attend. This item will allow the County Council to reschedule that meeting date and future others. This proposal proposes setting the next four meeting dates for more stabilty and planning - Sunday, April 28; Sunday, June 9, Sunday July 21 and Sunday August 11. The April 28 date is five weeks instead of six from the March 24 County Council meeting, but is meant not to conflict with Cinco de Mayo events on May 5, which would be six weeks. The July 21 date would be six weeks, but would be a teleconference so as not to conflict with those travelling to and/or attending the GPUS Annual National Meeting, July 25-28 in Salem, Massachusetts. Then to make up for not having a face-to-face meeting for so long, the August 11 meeting is proposed as a return to Santa Monica's Tongva Park, where the weather is comfortable at this time of year and provides the opportunity for an outdoor meeting in a park setting. Proposal (Feinstein): That the next four meetings be (i) in person on Sunday, April 28 at the Pilipino Workers Center, 153 Glendale Blvd, Los Angeles, CA 90026 (cost and availabilty permitting), (ii) via teleconference on Sunday, June 9 and (iii) ia teleconference on Sunday, July 21 and (iv) in person on Sunday August 11 in Tongva Park in Santa Monica. - Regularly endorse/sponsor LA events such as Hands Off Venezuela, Extinction Rebellion, anti-war events, worker's strikes, etc. Plus, schedule a speaking slot and participate as a group in our Green gear. As the largest county in California, we have a variety of socio economic levels and a wide array of strengths. To fully represent our area and grow Greens, we must coordinate activities to entice more members and fill our vacancies. Shall we plan recruiting events in these areas every few months? Shall we email/reach out those Greens via email? - Make clean up change to GPLAC Bylaws and/or Rules and Procedures to minimize need for such work by 2020-2024 County Council. Background: At its January 20, 2019 teleconference, the County Council approved guidelines for use of GPLAC social media https://losangeles.cagreens.org/rules/2019-01-20#ARTICLE_8, and added Guevara as a moderator to the GPLAC Facebook group https://www.facebook.com/groups/114542358579795/. This item to to provide for Guevara and Feinstein (Facebook group administrator) to report back on implementation of those guidelines. "Access to the data base shall be at the discretion of the County Council and in keeping with the GPCA's IT Protocol. Individual County Councilmembers shall have no special access to the data base, other than that provided for in these Rules and Procedures, nor shall the data base be exported to nor shared with any candidate, campaign, group or individual, other than may be necessary for maintenance and upkeep by the Green Party of California and/or the Green Party of Los Angeles County." Background: In 2012, the GPCA supported SB 1272 in exchange for a few amendments, including giving the GPCA the ability to set in its state party bylaws, the date by which one must be registered Green in order to run for County Council. Previous to SB 1272, the GPCA had to follow a state law that was the most restrictive in the United States, where a person would need to be registered Green at least three months before filing their declaration of candidacy and would have to also not have been a member of another ballot qualified political party for a full twelve months before filing their declaration of candidacy. This made it impossible for people who did decide to committe to the Green Party within those twelve months and at least three months before the County Council filing period, to run for County Council. This law was passed in 1961 as part of a law to prevent Democrats and Republicans from losing in the primary and then running as an independent on the general election ballot, and then it got extended to people changing between parties as well. It's origins had nothing to do with central committee elections, but got applied to them at some point. "6-2.1(a) To be eligible to be elected, one must be registered Green no later than three months before filing their declaration of candidacy for County Council. Because the GPCA has not acted upon this issue for the 2020 elections, and there are no visible plans for the GPCA to do so, the GPLAC can fill that void by enacting its own bylaws governing this issue. This agenda item it to provide the opportunity to discuss this issue in person, while it is being proposed on-line for an on-line vote. 8001(c) below, which modifies 8001(a) is the text that gives the GPCA the ability to set the date by which one must be registered Green in order to run for County Council. 8001 (a) No declaration of candidacy for a partisan office or for membership on a county central committee shall be filed by a candidate unless (1) at the time of presentation of the declaration and continuously for not less than three months immediately prior to that time, or for as long as he or she has been eligible to register to vote in the state, the candidate is shown by his or her affidavit of registration to be affiliated with the political party the nomination of which he or she seeks, and (2) the candidate has not been registered as affiliated with a qualified political party other than that political party the nomination of which he or she seeks within 12 months, or, in the case of an election governed by Chapter 1 (commencing with Section 10700) of Part 6 of Division 10, within three months immediately prior to the filing of the declaration. 8001 (c) Notwithstanding subdivision (a), a county central committee, subject to the bylaws of the state central committee, may establish the length of time that a candidate for membership on that committee must be shown by his or her affidavit of registration to be affiliated with the political party of that committee, and may establish the length of time that a candidate for membership on that committee must not have been registered as affiliated with a qualified political party other than the political party of that committee. Background: GPLAC Rules and Procedures have a sub-section 1-1.3 about audio-taping GPLAC meetings that is not being followed. Should this text remain in the Rules and Procedures, and if so, how shall it be implemented? Background: The purpose of adopting this practice is to reduce and ultimately remove habits of speech that aggravate discord and to build our skill in communication that maintains cohesion and heals division. a. Shall we, as GPLAC members, agree to learn and practice nonviolent communication language within the GPLAC and when communicating with others on Green Party matters? d. What procedures should be adopted to ensure that nonviolent language guidelines are being followed during discussions both oral and written? Background: At the August 12, 2018 Council Meeting our Vibes Watcher felt attacked and was not able to perform her function with the result that communications became emotional leading to her resignation from the County Council and that of another member. Had an authorized second been able to step in in a timely manner, the resulting loss of two members might have been avoided. Electing, rather than appointing the Vibes Watcher assures that there will be no bias in their judgments regarding communications during CC meetings. c. Elect a backup PK or VW in case of absence or incapacity of primary one.